It has become a truism for many in the West that faith and science belong to two conflicting world views. An atheist will say that science is rational, based on empirical observation and self-correcting as new theories eventually modify or replace old out-dated ones. Faith, on the other hand, is held to be irrational, defined by static religious texts and immovable religious authorities, which can be neither challenged nor revised.There is another view that regards this conflict as a needless clash of two Titans of similar breed: fundamentalism in religion and triumphalism in science. Rather than a genuine standoff between two antagonists we have instead a phony war based on a cartoon version of both disciplines and, therefore, a misunderstanding of the true purpose of each. These two approaches to Reality—science and religion—are actually complementary, this other view holds, and not at all mutually exclusive. Orthodox Christianity shares a common platform with these more positive voices, but with its own distinctive approach. A perspective from history will help. There is a historical background to this clash between faith and science in the west, a legacy in which Orthodox Christianity has no part. In Catholic Europe in the Middle Ages the scholastic movement sought to develop the idea that reason alone could establish certain basic fundamentals of Christianity. This approach has sometimes been referred to as natural theology or natural law. However, natural theology had its own built-in self-limitation in that reason alone could not impart the fullness of faith, because faith came with grace and revelation. This distinction between reason and faith became hardened into a division, sometimes even a mutual antagonism. The Galileo affair showed just how difficult it was for the Catholic Church to accommodate the findings of natural philosophy, or as we now call it, science. Not until 1992 did Pope John Paul II finally and fully exonerate Galileo. This is deeply ironic, even tragic, bearing in mind the intellectual space that Catholicism had itself created in natural law precisely for the application of reason and the importance of empirical observation. Protestantism showed itself to be more amenable to the rise of science in its own host cultures, but only because, under the influence of Calvinism, it had further hardened the division between faith and reason to the point of completely isolating a grace-only theology from the natural world and human faculties. This widening gap hit a crisis point in the 18th century during the full flowering of the Enlightenment when many Protestant theologians abandoned any semblance of orthodox (lower case) Christianity and embraced deism. The deist god was only in the most minimal sense a Creator in the sense that at creation he had “lit the blue touch paper,” and retired to a ‘safe distance’ allowing creation to develop in accordance with the laws with which he had imbued it. Deism retained the kernel of monotheism’s insistence that creation was not itself God, but rather a rationally accessible and predictable expression of his creative mind and will. However, it made providence, divine intervention, miracles and intercessory prayer extremely problematic notions, for these were now considered to be “supernatural” – by definition contrary to the natural order and, therefore, extremely improbable. At about this time pietism grew stronger in some Protestant traditions by way of reaction and this movement tended to scorn reason and emphasize religious experience as an exclusion zone of grace, inaccessible by definition to scientific enquiry. Eventually even this bastion of pseudo-orthodoxy fell with the rise of neuroscience which showed itself quite competent in analyzing altered states of consciousness in the religious mind, not exactly explaining them away but at least demystifying them. Soon the intellectual establishment embraced Positivism—the Great Idea that the sciences themselves were a sufficient and exclusively reliable description of the totality of human experience. This scientism, as many have called it since, has been popularized in our own time by such notable atheist propagandist popularisers as Richard Dawkins and Daniel Dennett. Their relentless and theologically illiterate evangelism has been the source of much functional atheism amongst lazy thinkers and uninformed media pundits ever since. Sadly, too many people have taken their word as the true gospel for a life freed from the shackles of religion and superstition. God has finally been dethroned; or has He? The trouble with this alienation between faith and science is that it is so deeply embedded in Western culture that it seems blind to its own myopic view of reality and the spiritual and intellectual origins of its unquestioned assumptions. In propaganda terms, atheist popularisers have a vested interest in attacking a caricature of religion as normatively fundamentalist. In the general population the level of religious literacy is so low that many simply buy the half-baked notions that seem to be continually recycled in the latest paperbacks of authors who have made a very decent living out of the whole sorry enterprise. Since many people unquestioningly assume that all Christians are the same and believe the same things, it has become almost impossible for Orthodox Christians to contribute to the debate without being written off as self-serving or idiosyncratic. I do not think, however, that we shall be able to improve on this situation until we can put some clear blue water between the caricature and the reality. Firstly we need to establish some basics of the Judaeo-Christian tradition, later adopted by Islam. This monotheist infrastructure is often not well understood. Significant differences exist within the religious traditions, but there is enough common ground to establish a shared platform concerning the relationship between God and the world. So, let us start with creation and the monotheist position. Is it possible to believe in God the Creator without being a creationist? ‘In the beginning God made heaven and earth.’ (Genesis 1:1) So begins Jewish and Christian Holy Scripture. The Jews were exceptional amongst all peoples of antiquity in their insistence that God and the natural order were neither to be confused nor fused. The creation owed its being and purpose to God. God himself was singular and unique. There was only one God and God was one. The surrounding cultures had very different ideas in their creation stories. Many supposed a pantheon of deities only some of which had any role in creation. Others commonly believed that the creation was itself part of God, an emanation of His being. However, the Jews under the divine revelation of their covenant knew that God could not be divided without impugning His sovereignty and power; He could not be confused with creation for then He would be subject to change, violating His self-sufficiency and perfection. 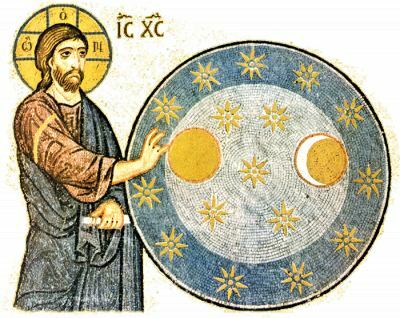 Such sovereign sufficiency required the belief that God created the Cosmos out of His own love, freely, so as to nurture something “not-Himself” into a dynamic and evolving relationship of communion with Himself. This applied in the first place to the physical process of creation itself, which was not instantaneous but rather an unfolding fecundity of God from the Earth itself (Genesis 1: “let the earth bring forth …”). Although man was a special case in that only he, both male and female of course, was made in the image and likeness of God, there is no reason to suppose that humans, animated by the breath of God, were exempt from these natural processes of life development. This then is our first conclusion: the supposed conflict between faith in a Creator and evolutionary processes is both unnecessary and harmful to the pursuit of truth. For this not to be case, humans would have to be a special instance in the development of life such that our biological genesis could not be connected to precursor species. However, the Scriptures of the monotheist religions make no comment on such matters; they do not even consider them. How could it be otherwise? The prevailing knowledge of the development of life lay in a pre-scientific age. Revealed truth concerning the dignity of humankind is built neither on the inclusion or exclusion of the theory of evolution; and so it goes for every other discovery of science. There can, therefore, never be a conflict between religion and science if each remains true to its principles and methods. As an example, we can push the logic of this position back to the dawn of creation itself, the Big Bang, and whatever may lie beyond or before that. The “how” of creation (i.e. science) has absolutely no bearing on the “why” of creation (i.e. religion) and vice versa. 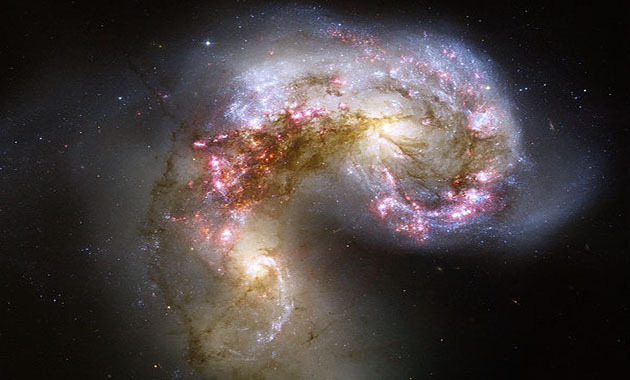 In so far as religion addresses the different and exclusive question of why there is something rather than nothing and why we are here, the language and processes employed are not those of the scientific method but of relationship tested in human experience—the relationship that is between God and the Cosmos. Any attempt to construe the reality of God from principles of design in the Cosmos, intelligent or otherwise, although superficially plausible, falls into the error of thinking that religion exists to explain this order in Creation. This is the fatal God-of-the-gaps defense of God-the-Explainer, forever retreating behind the advancing frontline of science, always a feeble competitor, never a strong associate. From a true monotheistic perspective, God does not explain Creation, Creation explains God. Knowledge of God comes not through science but by a direct personal encounter. This was first tested in the covenant relationship between God and his people, the Hebrews.